East New York, a neighborhood in Brooklyn south of Highland Park and the cemetery belt, has been largely rebuilt since it was allowed to fall into decrepitude in the 1950s and arson and general mayhem descended upon it through the 1970s and 1980s. It’s one of the few areas in Brooklyn still awaiting gentrification (which usually means pricing out longtime residents). East New York was first developed in the early 1800s in the Kings County town of Flatbush by Connecticut merchant John Pitkin, who bought land from previous landowning families the Linningtons, Wyckoffs and Van Sicklens, and devised a street grid and constructed a shoe factory on today’s Pitkin Avenue, which was later named for him. He was forced to sell off much of his tracts after the Panic of 1837, which caused a deep recession. Before that, though, he named the neighborhood East New York, as it was hoped it would become an economic rival of New York City. 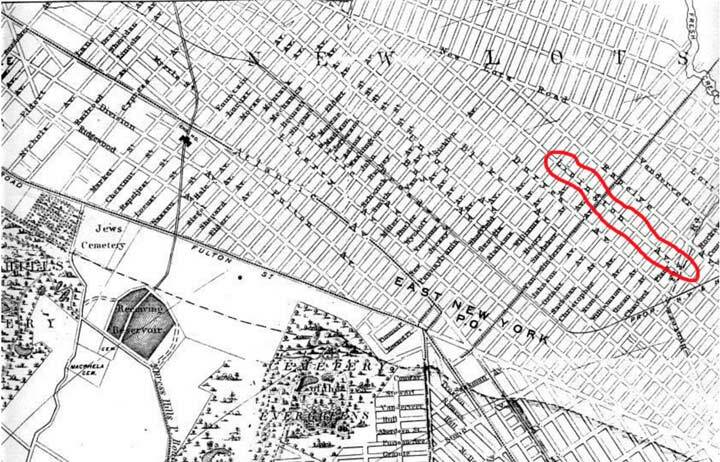 In 1852, New Lots, the eastern section of Flatbush, broke away from its parent, becoming Kings County’s 6th town. Its independence would be relatively short lived, since Kings County’s towns would be dissolved once it was united as the City of Brooklyn in the 1890s and then absorbed (by a narrow vote) into Greater New York in 1898. 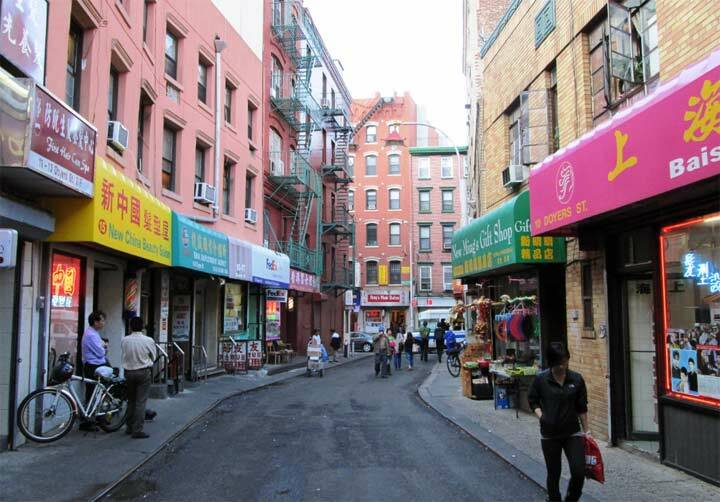 In the 20th Century, East New York was mainly a Jewish neighborhood and after World War II, African American, which it remains today. 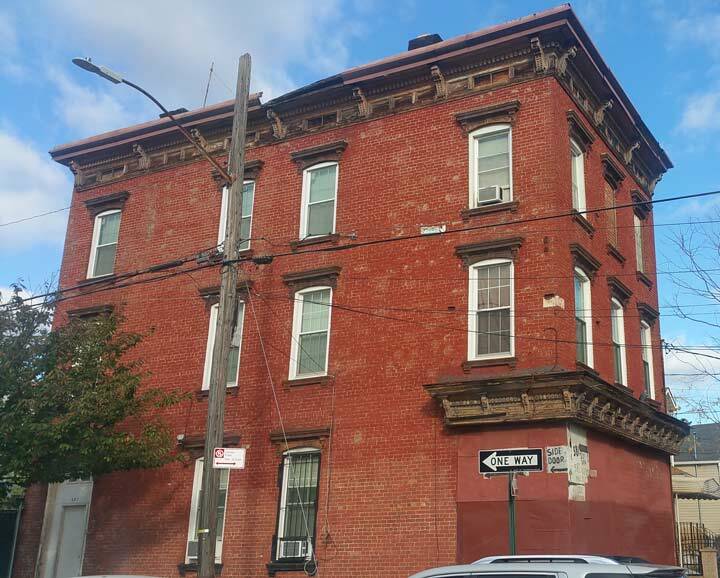 Though much of East New York boasts relatively new one and two-family houses, there are several older structures that stand out like the proverbial sore thumb, such as this 3-story brick building at Glenmore and Schenck Avenues. And, this building has something extra that marks it as something quite old. It appears as if the ground floor once held a business of some kind. The entrance to the apartments on the 2nd and 3rd floors is via a doorway on the Schenck Avenue side. Meanwhile, take a look at the small patch on the corner, between windows on the 2nd and 3rd floors. 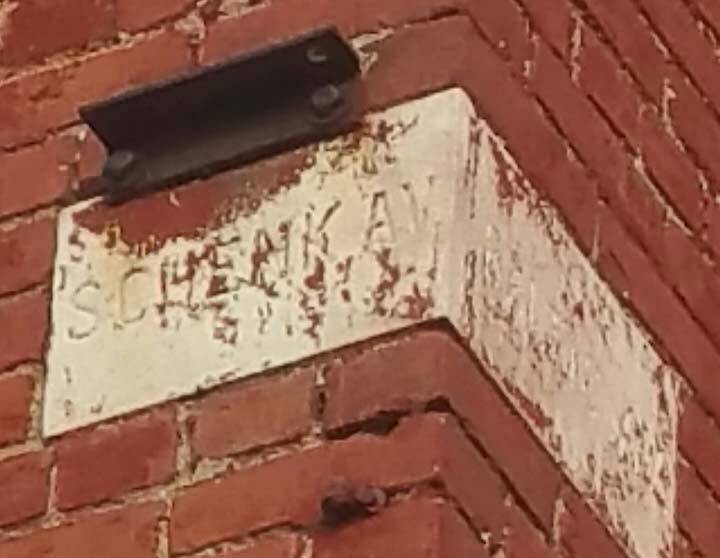 On the Schenck Avenue side, there is a sign showing “Schenk Avenue,” either a variant spelling or a misspelling of Schenck. Schenck is an old name in Brooklyn and Kings County annals. 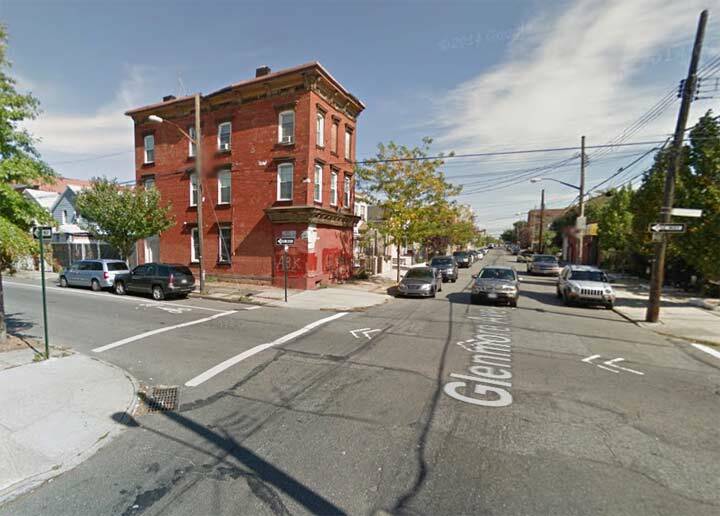 There are two Schenck Avenues and a Schenck Place, all in eastern Brooklyn locales such as East New York and Canarsie. The name is sometimes seen with a c before the k, sometimes not. The Jan Martense Schenck (“sch” is pronounced “sk” in Dutch, thus it’s pronounced “skenk”) House stood from about 1675 to 1954 on avenue U and East 63rd Street in Mill Basin. Schenck built the house near one of the area’s grist mills about 5-6 years after he had immigrated from Holland. In 1784 the family sold the house and land to Joris Martense — who left it to his daughter and granddaughter, who married into the Caton and Crooke families. Martense, Schenck, Caton and Crooke can all be found on Brooklyn street atlases. The last private owner, Frederick Crooke, sold it to the Atlantic, Gulf and Pacific Company in 1952. You might have thought that would be the end of the house, but AGP donated it to the Brooklyn Museum, which took it apart, numbered every piece, stored it alongside what is now the Jackie Robinson Parkway in Cypress Hills, and reassembled it in the Museum in 1964. (St. Saviour’s Church in Queens awaits a similar reassembling and restoration.) In 2004 the Jan Martense Schenck house was disassembled once again and moved to a different location in the Museum to make way for a new exhibit. This time, it was appointed in the way curators believed a Dutch homestead in Brooklyn appeared in 1730. The Museum now holds the Jan Martense Schenck House and the “newer” house of his grandson Nicklaes Schenck, built about 1775. …where the sign says not Glenmore Avenue, but Baltic Avenue. East New York, while still part of the Town of New Lots and then the City of Brooklyn, had dozens of street names that were changed once the neighborhood joined the City of New York. Why this was done is unclear. 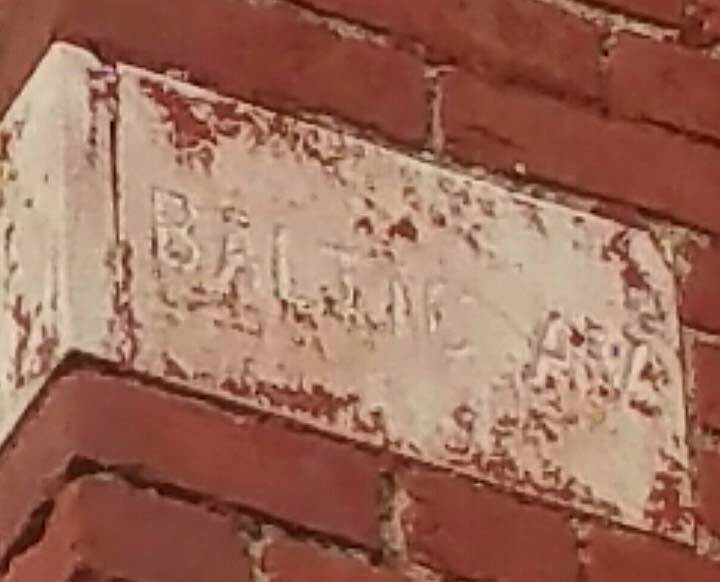 In this case the switch was done before 1890 (I have a map published that year with Glenmore Avenue in place) and may have been done to avoid confusion with Cobble Hill’s Baltic Street. Therefore we can date this building to between 1874 and 1890.